Model 8540 | Associated Equipment Corp.
shooting electrical problems in the automotive starter system. Easy to decipher color coded leads. Allows hands-free operation while the technician starts the vehicle. Indicates you have a good connection to the points being monitored. You no longer need to guess if you have a good connection. Tests battery voltage to verify there is sufficient voltage before testing begins. Monitors four connection points at one time. Expedites testing process. Allows the technician to test hard to reach areas while not being put into a precarious position during the starting operation. 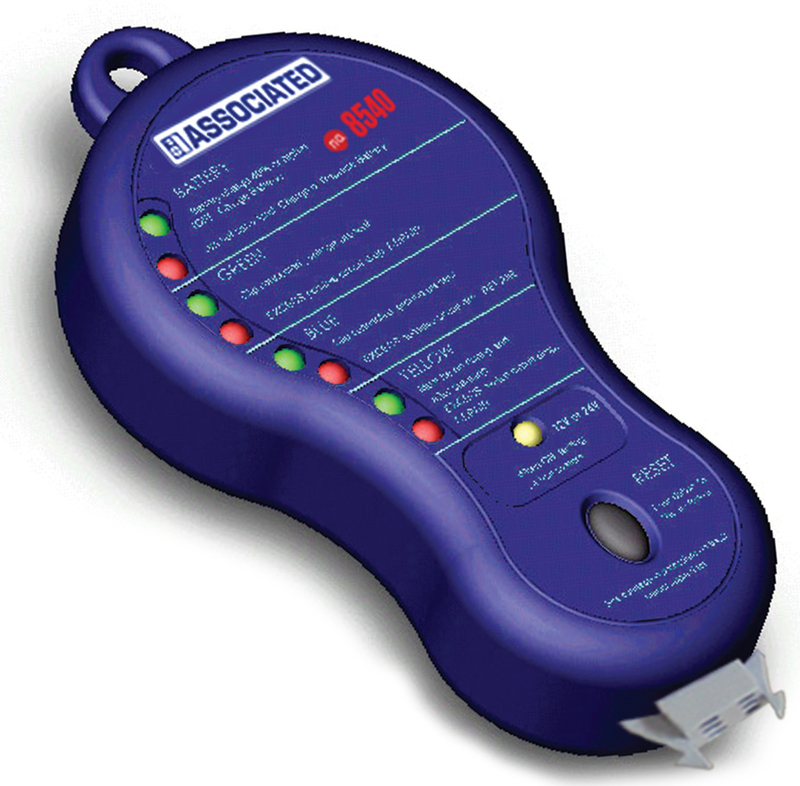 Holds the status of all poor connections until the 8540 is reset, allowing the technician time to analyze the results. 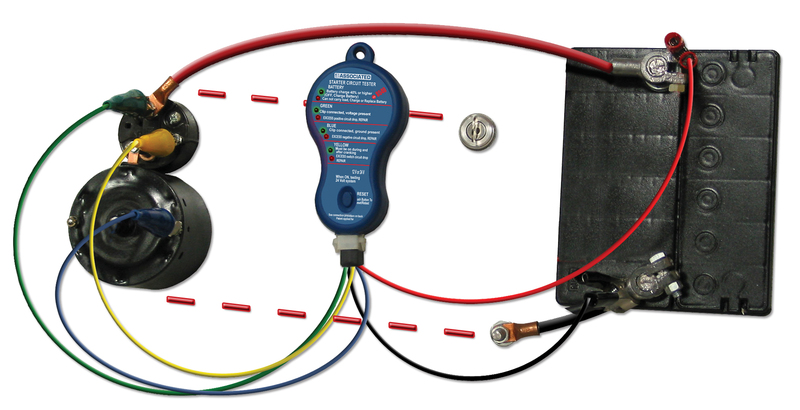 Will automatically switch to the 24 Volt test setting if battery voltage is detected above 16 Volts. Operates off of the vehicle’s battery, no external battery needed. Will test either positive or negative connected ignition switch.